The marbled pattern is grown naturally. 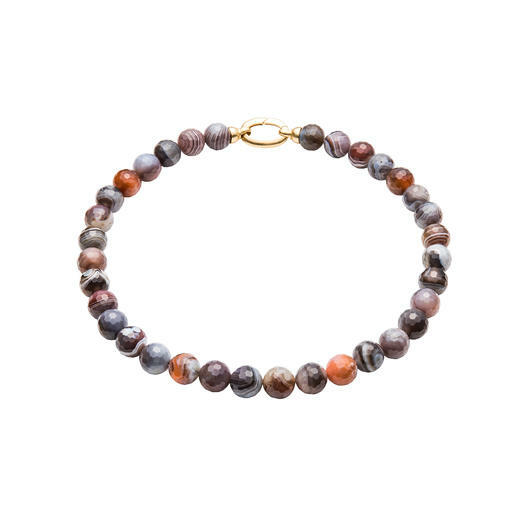 The trendy gemstone necklace comprising faceted Botswana agates. 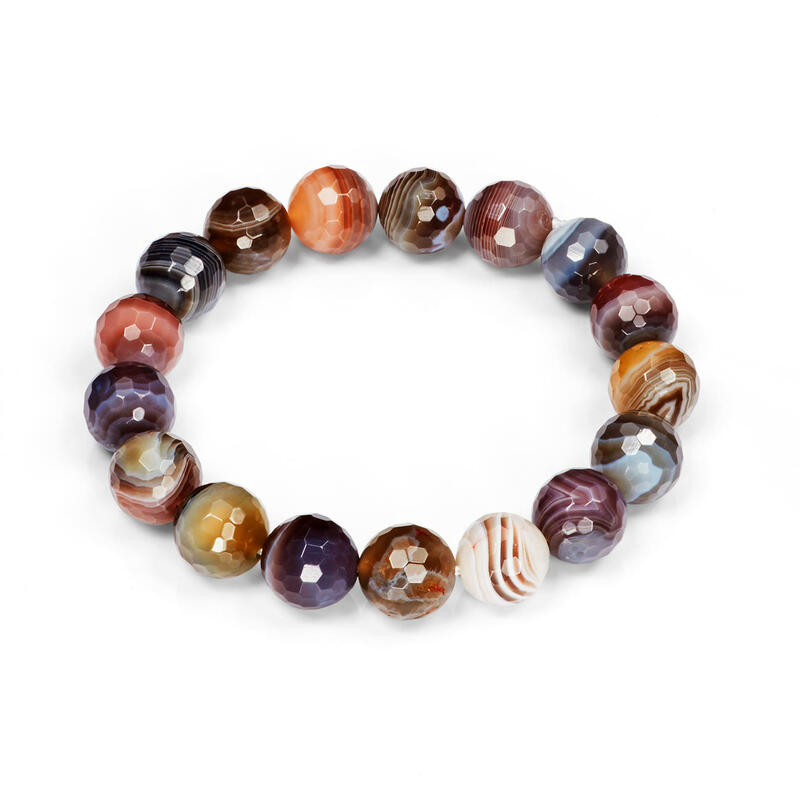 The colour spectrum of agate is diverse. But the grey, brown and rusty orange tones of this necklace are not to be found everywhere. They are particularly characteristic of the area where they’re found: Botswana – after which the gemstones are named. The warm shades flatter every skin type. Plus, they go perfectly with the currently trending colours in fashion. The different preserved layers of agate create the lively appearance. Each agate bead has a different, one of a kind, pattern. Thus, no necklace is exactly like another, so you’ll wear a very unique piece of jewellery. Facet cutting makes the gemstones shine. With lobster clasp and calottes made of gold-plated 925 sterling silver. Diameter beads: Approx. 12mm (0.5"). Necklace length: 43cm (16.9"). Weight approx. 84.5g (3 oz).